As an artist I start/create all my works similar to life with a start and ending point. With the beginning and end in mind I create a maze connecting those two points. From shapes to animals my work showcases many different themes that challenge and inspire the viewer to find their way! I really like Giraffe Blocks. What interesting art! Thanks for the feedback. I work hard at creating new pieces and glad to see that people enjoy it. I bid you a very successful 2012! Your passion is your Light. Just beautiful. 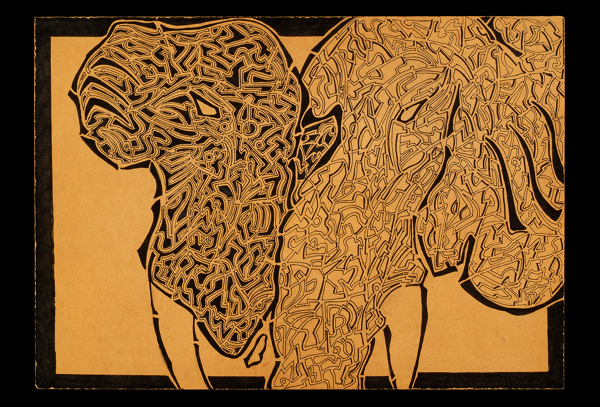 The first one appears like an abstract painting until the elephants shows itself. Impressive details…. This is a beautiful concept- all good art is indeed about helping people find their way. A great idea executed with skill, achieving mazes worth viewing. Stunning art. My daughter is big into mazes right now and she always asks to see your site. She’s a little young for the complexity of the mazes, but she loves them. Wow! Thanks for the reply it feels good to find out that kids like my work. I don’t know her age but I have my boys test all of the mazes to make sure they work and they have fun. The beginning of the mazes start at a S and the end is a w but looks like a e. Thanks again and please keep me posted on what your daughter thinks of the coming mazes. Like your art, keep me posted. Thanks for Liking Peter’s Crazy Aunt! Hi Warren, so glad you found my blog so i could find yours. Really cool artwork, looking forward to seeing more. Kate. Thanks for liking the most expensive ping pong table in the world on my blog! I like your puzzle art, too. love the kind of imagination at work ! Love your unique approach and the art that come from it! Thank you for liking my post of the Lion pic…there are lots of lions on my blog! 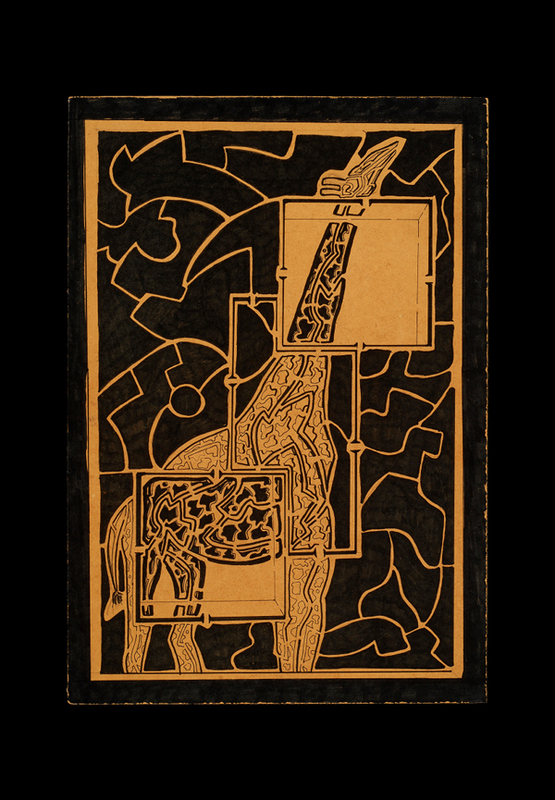 Your Maze Art is quite unique…love the animals! I see that you have a lot of comments. you have discovered an odd medium for art. Absolutely intriguing art….thank you for visiting my site and making me aware of yours. What beautiful, creative, inspiring work! LOVED IT! Your art is so unique and beautiful. Wow! That is quite impressive! Elephrikca is very well designed. I love this art. What is the medium? Thanks! I use pen, pencils and markers. Wonderful concept, great idea for this artform…. Absolutely Gorgeous! Thanks for following my blog as well! Very Nice Art. Thank you for sharing. Im hooked on making them so you will always have new puzzles to solve! I love your creativity! So unique & beautiful! Very cool theme of expression. Thanks for ‘liking’ my photography Blog – your art work is quite unique and I wish you every success in pursuing it. Tenacity will get you where you want to go! These mazes are like everyone else has said, “AMAZING”. Look forward to seeing more of what you have in store. You certainly are gifted! Looks very neat in pictures. What is the format ? Material ? I use any smooth surface I can draw on and I use pencil, pen and marker. I have always loved mazes and yours are…..WOW!!! Beautiful work!! Have you ever done one in the shape of Texas? I love Art, and yours looks great! I’ll be looking in on your work from time to time….. Have a Great Day! Thank You for the LIke on my post regarding Ken Kaminesky….his photographs are haunting me! Thank you so very much for visiting my blog. It’s great to stop by and see your work. I remember creating mazes with my friend when we were kids. We used to LOVE doing this. Keep up the great work. Your mazes are really cool! I never would have thought of that. You have a very unique style… loving the textures. Your work is awesome- I’m speechless. Nice concept of the mazes in your artwork. I will definitely have to show this to my son! He loves making mazes in the shape of animals, etc. and would be very impressed by your work. Also, thanks for stopping by my blog I just started (http://lazyknits). Be sure to also check out my “real” blog at http://twyste.com. thanks for liking my recent post…your art is amazing. So fantastic! Almost meditative, like a labyrinth! really clever work! i’m going to try some immediately! Wow! These are insanely awesome. Great artwork! Giraffes are one of my favorite animals. Really beautiful. Quite a-mazing for sure. Really dig the idea, and the art is amazing!! Love these! The “Elephrikca” is my favorite! Great job! Hello Friend, you may want to protect your artwork from getting stolen. Beautiful pieces. Never have an ordinary day to all. Hello Friend, What I mean is.. protecting your artwork on this blog. Guests can easily print them up.. unfortunately. thanks for liking my blog post. your art puzzles are very interesting!